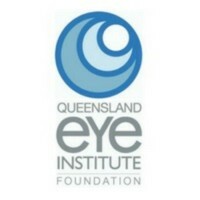 Nine out of 10 Australians say that sight is their most valued sense, yet 62% are still putting their sight at risk*. Of all the generations, Gen X, Y and Baby Boomers are failing the National Eye Health Report card and the top reason why nearly 25% of Australian’s aren’t having regular eye exams is that they don’t consider it a health priority*. Regardless of age, eye health should be a priority and more than 450,000 Australians are blind or vision impaired, yet 90% could have been prevented if treated and detected early*. These statistics motivate QEI each and every day to SAVE SIGHT and supporting QEI Foundation's vital eye health research is the greatest gift you can give. With your kind donation, our researchers can to continue to work towards successful retinal regeneration outcomes and we hope to find cures for diseases that cause severe loss vision, including glaucoma, age-related macular degeneration and diabetic retinopathy. The donation you make today can one day save or restore the sight of someone you love. Please contact QEI Foundation's Partnerships Manager, Rachell Hansen via email rachell.hansen@qei.org.au or call (07) 3239 5055 to discuss opportunities to get more involved or to arrange a lab tour with our researchers.